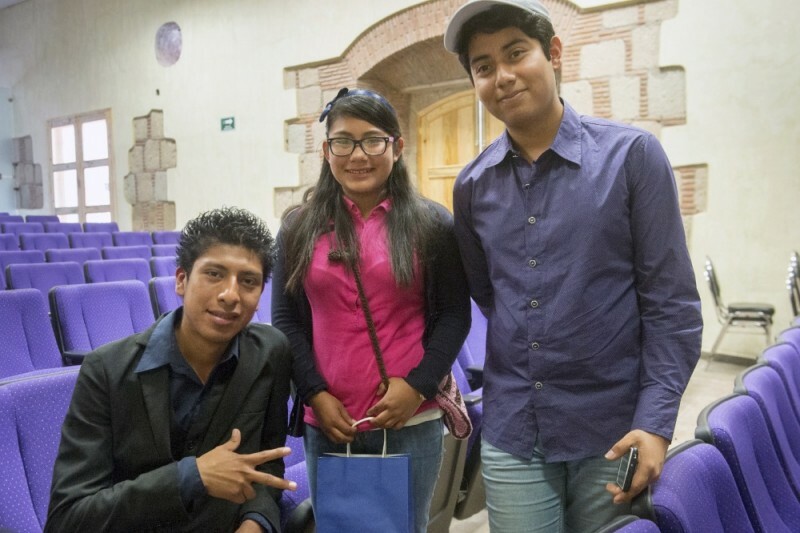 Melchor, Sharely and Brayan are the three students who formed the group called The New Dreamers in the film Una Vida, Dos Países [One Life, Two Countries]: Children and Youth (Back) in Mexico. Each New Dreamer was born in Mexico, spent about a decade of their childhood in the U.S. and then found themselves back in Mexico for their high school year. In the film they were all high school students, but Melchor has since graduated and was accepted into a university. However, his family could not afford the tuition. Sharely was in danger of dropping out halfway through her first year of high school because of the registration fee, which her family could not afford the registration fees. We have been asked by people who’ve seen the film how they can help, so we have set up a New Dreamers Go Fund Me page to help Melchor achieve his dream of continuing his studies and to support Sharely and Brayan to complete high school and go on to college. All donations go directly towards the students’ education. I hope this can be used to pay for a student's semester registration fees. Every child deserves an education. Thank you for making this film and for the opportunity to support these young people in their education!